World Cultural Month continues into week two, and many photo galleries of the events below. Please also note that there is a half-day PD session for the faculty on Friday April 17, so it is 12:00 pick-up. 1. Country Booths: We still need many more booths for the children to visit on the morning of April 30. If you are interested, please contact Gaucher Kadam at gaucher@isd.sn / 77 645 05 62. Here are all the countries making up the ISD family taken from admissions - I am sure there are more besides! Depending on sufficient interest, this will run from June 15-19. We will put a second week on also, if there is sufficient interest from June 22-26. Send a nutritious snack and lunch each day. There is only room for 70 students per week. 3. Earth Day: We will have our 3rd Earth Day Celebration on April 22! LET'S MAKE ISD A GREENER SCHOOL!! 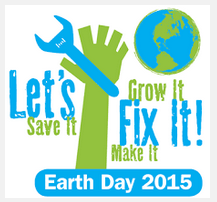 - You can read about the worldwide 2015 Earth Day organization here. The idea of Monday's waste-free lunch is to have a day when we produce no garbage. Please send your child's lunch in a reusable container, and there should be no disposable wrapping inside at all. That is the goal - nothing that will be thrown away. Here is a link to a website that might give some ideas. Shady will also be sending over only reusable materials with the food for his lunches on Tuesday, too. 5. Talking at the Dinner Table: Here is a link to some MORE great conversation starters for the dinner table to add to those last week! - APRIL 17 – FACULTY/PARENT COOKING CLASS A class on how to make a Senegalese dish (TBD). This class is opened to faculty and to parents. - APRIL 24 – FACULTY/PARENT COOKING CLASS A class on how to make local juices (Bissap, bouye and cocktail). Opened to faculty and to parents. - APRIL 29 - BAZAAR (Day 1) - 9:00 am - 4:30 pm Local artists and artisans are invited on campus for your summer shopping. - APRIL 30 - CLOSING CEREMONY 2:00 pm - 3:10 pm • Country booths visited by students • Parade of the nations • Elementary school performance • Concert • World items exhibitions • Bazaar (Day 2) - parents welcome to join the parade!! As above, there will be a cooking class (April 17, 2015 from 3:45 pm to 6:00 pm) as well as a class on how to make local juices; Bissap and Bouye (April 24 from 3:30 pm to 5:30 pm) on campus. We are going to introduce “Poulet yassa” and we will go through the cooking process from the ingredients, vegetables and chicken to the cooking itself. Rabi, our favorite cook will also show you how you can make juices using bissap and bouye. The fee is 10,000 f cfa per person and the maximum number of participants is 20.